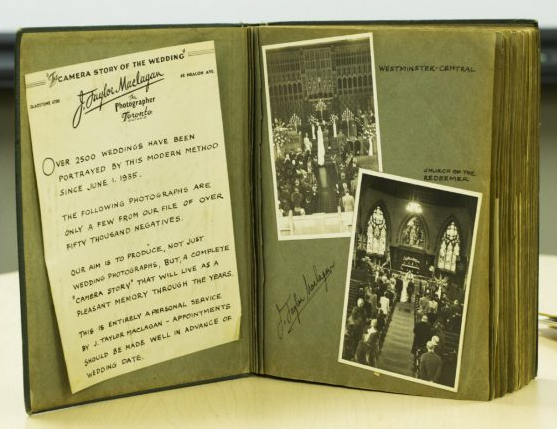 It featured Toronto wedding photographer J. Taylor Maclagan’s recently discovered studio portfolio album from the 1940s. 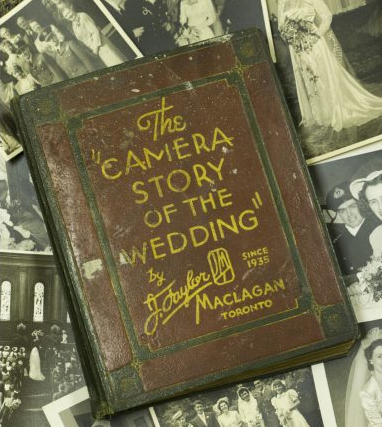 As the article notes, beginning in the 1930s, Maclagan was one of the first Toronto photographers to offer more than just posed wedding portraits but the whole “camera story of the day” (And of course I love a photo journalistic approach to weddings!). 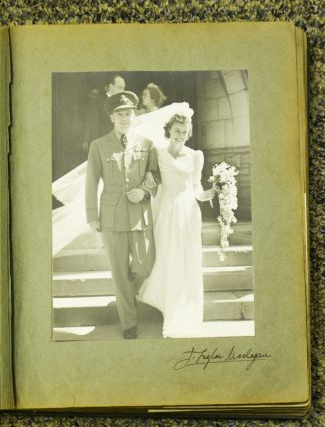 Maclagan received many of his referrals from Eaton’s Bridal Salon, which was the largest department store in Toronto at that time (now defunct, downtown Toronto’s Eaton Centre shopping mall still bears its name). More photos are available in a slideshow on the Toronto Star site. If you think you may be able to help identify them, contact the reporter Katie Daubs. Buzzfeed DIY did a feature this week on 60 Adorable Real Vintage Wedding Photos From the 60s. #19 – This bridesmaid, her headpiece, and the expression on her face. #45 – This electric couple. #47 – This stunning Jackie Kennedy bride. They are all really worth a look!